Vacation time is here! Yes! Finally. For the next few weeks, I'll be off exploring and traveling around South Korea (in cities such as Busan, Seoul, Jeju Island and Cheongju). 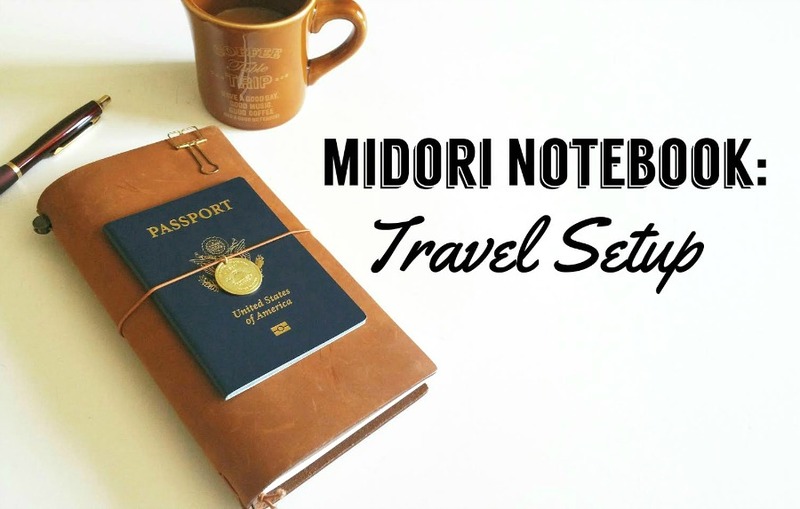 But before I go, of course I had to share my Midori Traveler's Notebook setup. Full details can be seen on my YouTube video here. If you have Instagram, all of my daily adventures will be captured there, @seaweedkisses. You'll see all of the delicious food (lots-n-lots of food), sights, and (stationery) shopping I'll encounter. It'll be fun, that's for sure. Until then, wishing you a wonderful rest of August! We'll catch up in September!